The first trailer for the animated adaptation of Frank Miller’s highly regarded graphic novel The Dark Knight Returns has gone online. For those unfamiliar, the story takes place a decade after Bruce Wayne gave up being Batman and entered retirement. The return of Harvey “Two-Face” Dent and a gang of criminals known as The Mutants force Wayne to don the suit once again, and he’s joined by a young girl taking on the persona of Robin in his quest. Batman: The Dark Knight Returns, Part 1 features Peter Weller as the voice of Batman, joined by David Selby as Comissioner Gordon, Ariel Winter as Robin, Wade Williams as Two-Face, and Michael McKean as Dr. Bartholomew Wolper. Judging by the trailer, it looks like director Jay Oliva has brought the goods, and fans of Miller’s story should be quite pleased. Hit the jump to watch for yourself. 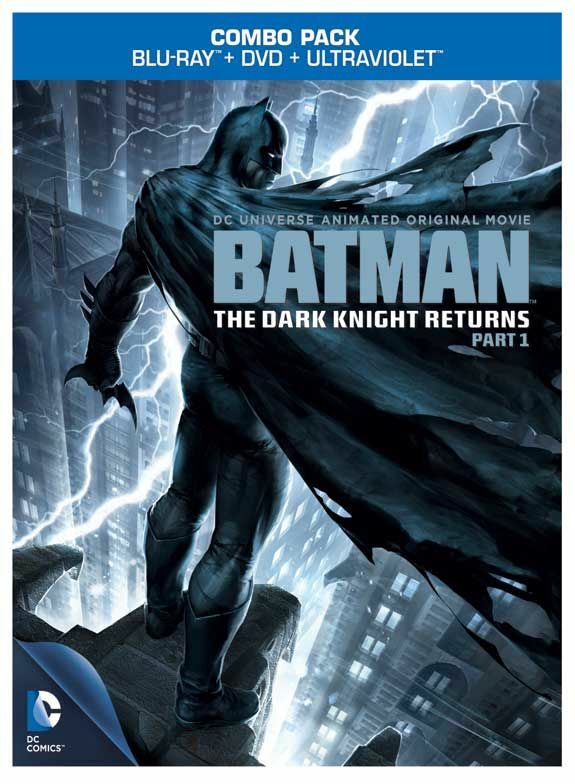 Batman: The Dark Knight Returns, Part 1 will be released on Blu-ray on September 25th.